It's suitable for: clock mirror, make-up mirror, rearview mirror, the lid, photoelectric glass. 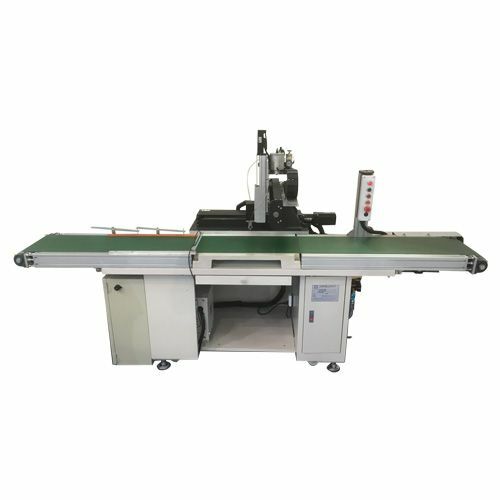 The machine adopts servo motor and touch panel, suitable for a variety of shapes, such as cutting, the sharp of the cutting only needs use the cad drawing than trains into the controller change the siae and adjust is simple and quickly. 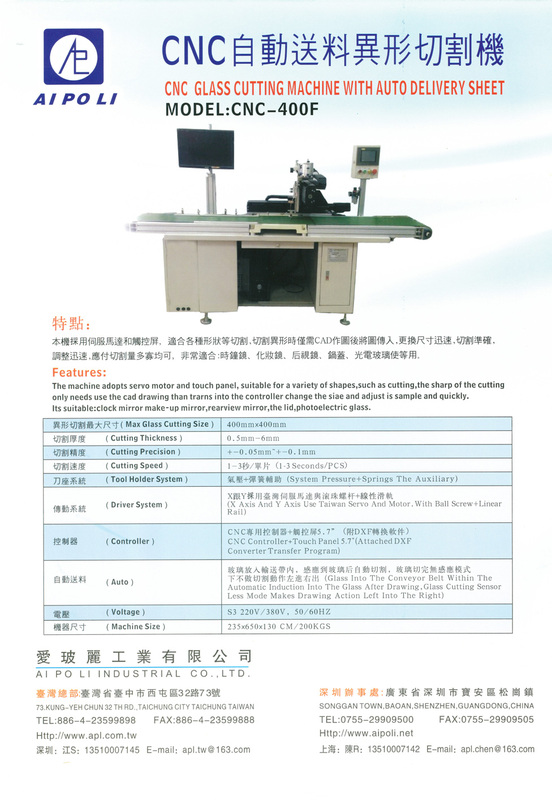 Driver System X axis and Y axis use Taiwan servo and motor. With ball screw + linear rail. makes drawing action left into the right.